These regulations set out detailed provisions on how companies should revise their accounts and reports under the 2006 Act if they are found to be defective. 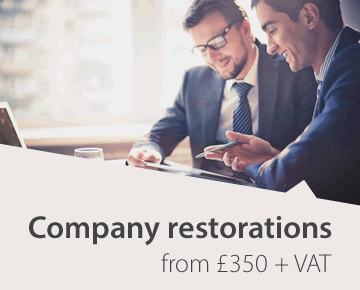 They replace the Companies (Revision of Defective Accounts and Report) Regulations 1990 and the Companies (Revision of Defective Accounts and Report) Regulations (Northern Ireland) 1991. These regulations set out the circumstances in which companies may prepare summary financial statements instead of full accounts and reports, the persons to whom they can be sent and what they should contain. They restate the Companies (Summary Financial Statement) Regulations 1995 and the Companies (Summary Financial Statement) Regulations (Northern Ireland) 1996 with a small number of substantive changes. These Regulations implement parts of Directive 2006/46/EC1 on company reporting, by amending the provisions in Parts 15 and 16 of the 2006 Act which set out the conditions that determine whether a company or group qualifies as small or medium-sized. SMEs are entitled to certain accounting and audit exemptions. The Regulations also implement the Directive requirement for disclosure of off-balance sheet arrangements in the notes to the accounts. The Regulations reinstate in the 2006 Act certain exemptions relating to the directors' reports of SMEs which are currently contained in the 1985 Act and which were inadvertently omitted from the 2006 Act. They also make a few technical amendments to the accounts provisions of the 2006 Act. The Department is discussing with the Accounting Standards Board the production of guidance on the new disclosure requirements relating to off-balance sheet transactions. Guidance on the new SME thresholds will be published on the Department's website once the Regulations have been made. These regulations require companies to disclose in their annual accounts information about amounts payable for the services they and their associates have purchased from their auditors and their associates. They also require companies to disclose whether they have entered into a liability limitation agreement with their auditors, and if so, to provide certain information about that agreement. They replace the Companies (Disclosure of Auditor Remuneration) Regulations 2005 (SI 2005/2417). 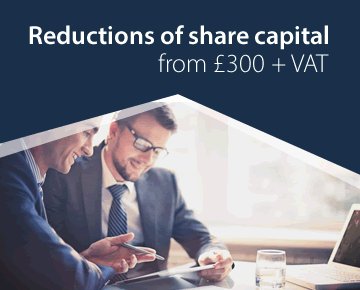 This SI amends, with effect from 1 February 2009, the schedule of penalties which are to be paid by limited companies and limited liability partnerships which file their accounts after the time period specified in the Companies Acts. The penalties are substantial increased. See Company Law Club Newsletter 2009-01. This instrument also amends the time period within which limited liability partnerships are obliged to file their accounts so as to be the same as for companies under the 2006 Act and applies the provision in the 2006 Act on how to calculate this period. These regulations set out the requirements on the detailed format and content of the accounts and directors' report of small companies. They restate the accounting Schedules to the 1985 Act and the Companies (Northern Ireland) Order 1986 as they apply to small companies and groups, and make a small number of substantive changes to the accounting requirements. This SI replaces the Companies (Defective Accounts) (Authorised Person) Order 2005, the Companies (Defective Accounts) (Authorised Person) Order (Northern Ireland) 1991 and the Supervision of Accounts and Reports (Prescribed Body) Order 2007 to reflect administrative changes at the Financial Reporting Review Panel (FRRP). It changes the description of the body prescribed in these Orders from the FRRP established under the articles of association of The Financial Reporting Review Panel Limited to the FRRP established under the articles of association of the Financial Reporting Council Limited. These Regulations amend the requirements for a company's annual return under the Companies Act 1985. They Regulations ensure that no company is subject to the requirement to provide the names and addresses of all its members in an annual return made up to a date after 30 September 2008.The starting point is that every company is required to disclose whether its shares were traded on a regulated market at any point during the period covered by the annual return. For a company whose shares were not traded on a regulated market at any point during that period, the requirement is that the company should provide the names of all its members. For a company whose shares were traded on a regulated market at any point during that period, the requirement is to provide the names and addresses of those members who hold or held 5% or more of the issued shares of any class of the company's shares. The Regulations also provide for two additional codes to identify the company's principal business activities. These are for non-trading companies and dormant companies. These Regulations provide that no company is required to provide the names and addresses of all its members in an annual return made up to a date after 30 September 2008. Every company is required to disclose whether its shares were traded on an EU regulated market at any point during the period covered by the annual return. A company whose shares were not traded on a EU regulated market must provide the names of all its members. 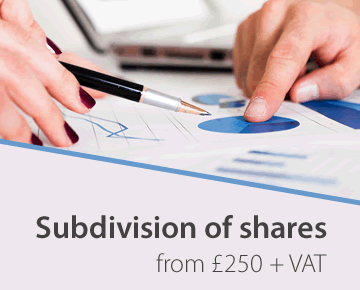 A company whose shares were traded on a EU regulated market must provide the names and addresses of those members who hold 5% or more of the issued shares of any class of the company's shares (or who held such a percentage during the period covered by the return). The Regulations also specify the conditions with which a service address must comply for the purposes of the Companies Act 2006. These Regulations implement in part EU Directive 2006/46 of 14th June 2006 amending Directives 78/660/EEC on the annual accounts of certain types of companies, 83/349/EEC on consolidated accounts, 86/635/EEC on the annual accounts and consolidated accounts of banks and other financial institutions and 91/674/EEC on the annual accounts and consolidated accounts of insurance undertakings (OJ L 224, 16.8.2006, page 1). The Directive is also implemented by the Companies Act 2006 (Amendment) (Accounts and Reports) Regulations 2008 (S.I. 2008/393), the Small Companies and Groups (Accounts and Directors' Report) Regulations 2008 (S.I. 2008/409), the Large and Medium-sized Companies and Groups (Accounts and Reports) Regulations 2008 (S.I. 2008/410), and by the Financial Services Authority using powers under the Financial Services and Markets Act 2000. Companies Act 2006 (Transfer of Audit Working Papers to Third Countries) Regulations 2010/2537. These extend the list of non-EEA countries to which audit papers may be sent to include Australia and USA. The Companies (Disclosure of Auditor Remuneration and Liability Limitation Agreements) Regulations 2008 (the “Principal Regulations”) provide for large companies to disclose fees receivable by their auditors and their auditors’ associates. The new regulation amend the Principal Regulations. Regulation 5 replaces Schedule 2 to the Principal Regulations. The list of types of service in respect of which disclosure has to be made, set out in the substituted Schedule 2A, has been updated to correlate with the revised Ethical Standards published by the Auditing Practices Board of the Financial Reporting Council. Regulations 3 and 4 make consequential amendments to regulation 5 of the Principal Regulations. Regulation 2 amends Regulation 5(1)(a) of the Principal Regulations so as to extend the obligation to disclose to remuneration received by any associate of the company’s auditor. Regulation 1(4) provides that only the accounts for financial years beginning on or after 1st October 2011 are required to meet the changes in these Regulations. These Regulations amend CA 2006 sec1242 and Sched10 and the Statutory Auditors and Third Country Auditors Regulations 2007 (“SATCAR”). The Regulations give effect to Commission Decision 2011/30/EU of 19th January 2011 (O.J. L15, 20.1.2011, p.12) (“the Commission Decision”) on the equivalence of certain third country public oversight, quality assurance, investigation and penalty systems for auditors and audit entities and a transitional period for audit activities of certain third country auditors and audit entities in the European Union. That Decision was made under Article 46(2) of Directive 2006/43/EC on statutory audits of annual accounts and consolidated accounts (O.J. L157, 9.6.2006, p.87) (“the Audit Directive”). Regulation 4 amends CA 2006 sec1242(4) to enable the Secretary of State to disapply the provisions requiring participation by auditors in arrangements for independent monitoring of audits by means of inspections and for independent investigations for disciplinary purposes where the audit is of a company or class of company incorporated in a third country whose securities are listed in the UK and relates to a financial period commencing on or after 2nd July 2010. This amendment is necessary to give effect to the provisions of Articles 1 and 2.1 of the Commission Decision. Regulation 5 amends CA 2006 Sche10 to provide that the audits by statutory auditors (as defined in CA sec1210) of companies incorporated in a third country whose securities are listed in the UK may be subject to inspection. This amendment is necessary for the full implementation of the Audit Directive and the Commission Decision. Regulations 2, 3 and 6 make consequential amendments. Regulation 7 amends the provisions of SATCAR on the registration of auditors of companies incorporated in a third country whose securities are listed in the UK. The amendments remove the category of exempt third country auditor introduced into SATCAR by the Statutory Auditors and Third Country Auditors (Amendment) (No. 2) Regulations 2008 (S.I. 2008/2639) and require all applicants for entry on the register of third country auditors to provide specified information. They introduce a category of “equivalent third country” to give effect to Article 1 of the Commission Decision and amend the list of specified third countries. The amendments allow the designated body (the Professional Oversight Board of the Financial Reporting Council) to give effect to the provisions of the Commission Decision. The registration requirements of SATCAR are subject to the Secretary of State’s powers of direction under section 1239(7) of the Companies Act. Regulation 9 makes transitional provision. Regulation 8 makes minor consequential amendment to the Statutory Auditors (Delegation of Functions etc) Order 2008 (S.I. 2008/496). A transposition note has been prepared which sets out how Directive 2006/43/EC is transposed into UK law, updated to reflect the implementation of Commission Decision 2011/30/EU. An Impact Assessment of the effect of the implementation of Directive 2006/43/EC on the costs of business, charities or voluntary bodies was also prepared. Both are available from the Department for Business, Innovation and Skills, 1 Victoria Street, London, SW1H 0ET. They are also available electronically at www.bis.gov.uk. These Regulations introduce an exemption from certain financial reporting requirements (“the Micros-Exemption”) for very small companies (“Micro-Entities”) preparing Companies Act individual accounts. The Micros-Exemption forms part of Directive 2013/34/EU of the European Parliament and of the Council of 26 June 2013 on the annual financial statements, consolidated financial statements and related reports of certain types of undertakings (“the New Accounting Directive”) and these Regulations implement that part of the New Accounting Directive. Regulation 3 limits the application of these Regulations to companies formed and registered (or treated as formed and registered) under CA 2006. Regulation 4 inserts new sec384A and sec384B into CA 2006t. Sec384A prescribes the thresholds, based on turnover, balance sheet total and employee numbers, for qualification as a micro-entity. Sec384B identifies those categories of company (including charities, those companies already excluded from the small companies’ regime under Part 15 of CA 2006 and those companies voluntarily preparing group accounts (or whose accounts are included in consolidated group accounts prepared by another company )) which are excluded from being treated as micro-entities. Regulation 5 amends sec393 to identify relevant considerations for company directors, when deciding whether to approve accounts on the basis that they give a true and fair view. It amends sec396 to introduce a presumption that micro-entities’ accounts which comply with certain minimum requirements give a true and fair view. It also prescribes the statement to appear above the signature in the balance sheet, in circumstances where accounts are prepared in accordance with provisions applicable to micro-entities. Regulation 6 amends sec444 to provide that companies preparing abridged accounts in accordance with the exemption for Micro-Entities must file a copy of those accounts at Companies House. Regulation 7 amends sec469 to exempt micro-entities from the requirement to draw up a note relating to the exchange rate applied, when translating amounts set out in the accounts into euros. It amends sec472 to provide that minimum prescribed notes must appear in the balance sheet and not in a separate document. It amends sec474 to insert some definitions. Regulation 8 amends sec495 to identify, in the case of micro-entities, relevant considerations for auditors when deciding whether the accounts give a true and fair view. Regulation 9 amends Part 2 of the Small Companies and Groups (Accounts and Directors’ Report) Regulations 2008 (“the 2008 Regulations”). It exempts Micro-Entities from the obligation to draw up notes to the accounts other than the prescribed minimum notes. It disapplies, in the case of Micro-Entities, provision for fair value accounting and provision for the filing of abbreviated accounts. Regulation 10 amends Part 1 of Schedule 1 to the 2008 Regulations to provide, in new Section C, for two abridged balance sheet formats and one abridged profit and loss account format for Micro-Entities. Regulation 11 makes a number of amendments to Part 2 of Schedule 1 to the 2008 Regulations in consequence of the addition to Part 1 of that Schedule of new Section C. Regulation 11(2)(b) and (c) does not implement an EU obligation but corrects erroneous descriptions of prescribed line items in the 2008 Regulations. Regulations 12 and 13 make a number of amendments to Schedules 6 and 8 to the 2008 Regulations in consequence of the addition to Part 1 of Schedule 1 of new Section C.
The latest regulations for the statutory accounts of companies and LLPs.